Zamieszczam wyjaśnienie eksperta, które może okazać się pomocne w identyfikacji. 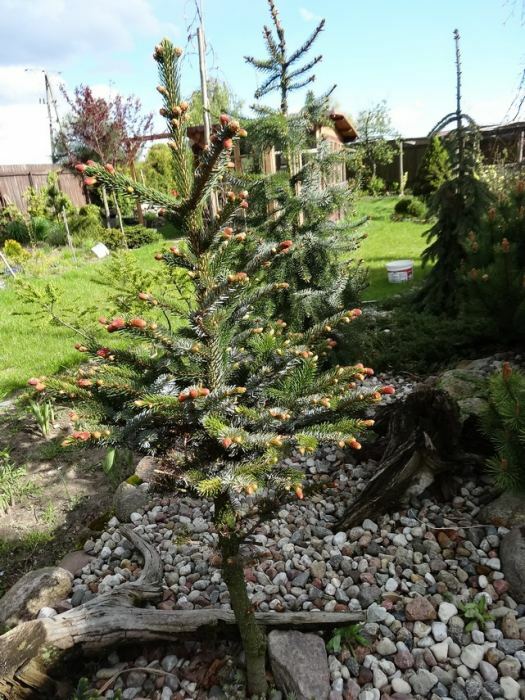 1 other difference also between the 2 species, at the same time (12 juni) Picea jezoensis have finished the growth and Picea bicolor start only. 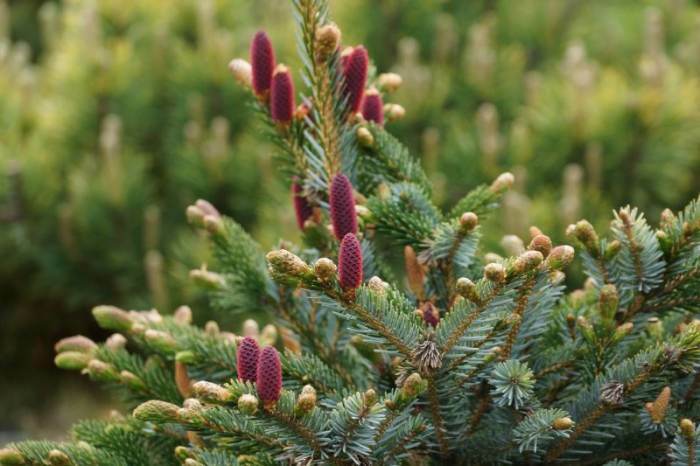 The cone of jezoensis are soft like Picea pungens. 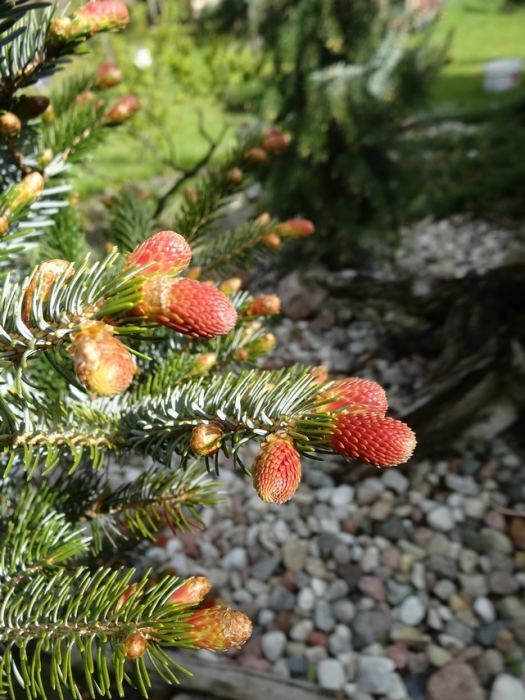 Picea jezoensis have some cultivars : Aurea, Nana Kalous, Hroch, Howell's Dwarf = Howell's Dwarf Tigertail,.Yatsubusa if not = to Howell's Dwarf ? Chinese Marl, Chitosemaru, D.J. Broom, Yosawa are a cultivar of Picea glehnii. Swierk dwubarwny z wiosennymi przyrostami.